CSI Exterminators, Inc. is headquartered in Fresno, CA. We proudly serve both residential and commercial customers. We are a locally owned pest control company. We provide reliable, effective pest control services for customers in the Fresno, Clovis, Madera, Visalia, and San Joaquin Valley areas. If you've got a problem with common insects, termites, rodents, birds, or bedbugs, we'd be glad to help you get them under control! Jason was great! He was nice and made the situation easy. He showed up early and was kind in letting me know what was going to happen and when it was ok to come back into the house. I just got the house back together and haven’t noticed any critters yet. All together between Tammy taking my call for service to Jason handling the services I am very happy with CSI services. I have been very happy with CSI. They are prompt and thorough and have come back more than once when the problem persists. The weather in this Valley promotes lots of bugs and pests and CSI has always been helpful. Thank you. They are excellent very happy with their service. CSI provides reliable excellent ugly bug & spider free living at my home. I don't do bugs. So yeah CSI. 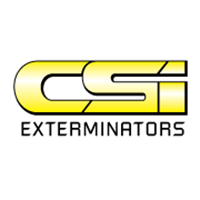 Our company has been using CSI Exterminators since June 2018. We have been very pleased with the service. Alec is the tech that usually services my apartment complex and he is very conscientious in his work. Thank you all for helping educate our apartment managers in all the areas you service. Looking forward to a long business relationship with CSI Exterminators. Great service, always notifies us of service dates and send us reminders, and all my questions are always answered. Very happy with the heat treatment for bed bugs. Very nice staff. Quick response and scheduling. Friendly, prompt service is always provided. I left a message with the receptionist re: a request that I had. This request was addressed the very next day at out scheduled service day. Very good service very great job. Randy is the Best. He’s Responsible, Professional and Reliable. Jason was extra nice, helping get some tapes out and was real nice to my dog. All the bugs are gone. Very happy. You'r men were very professional and thorough. Good work, entertained the dog while they were here. Still can’t find some things because everything was a mess, but expect it will show up. Alec Esquivel is the cutest employee! Thank you for servicing our rental properties. We are looking forward to continuing to work with you in the future. We will be issuing a letter to all tenants regarding the completion of the past 2 services. We will also inform them that we will conduct an annual service (spraying) for the inside and outside of all units and properties, once a year. This is in addition to the regular spraying already determined for the outer areas. Is there any litiature that you may have with instructions that you can forward to me, to pass on to the tenants that they can follow to prevent the return of any unwanted insects or rodents? I've been a customer since 2011 and I couldn't be happier with my service from CSI. I live next to a field and every time it's plowed we get an influx of bugs - CSI always comes right out to take care of them quick. They even help me keep the gophers out of my garden! Highly recommend them to anyone who asks. Excellent customer service and extremely knowledgeable staff. Every staff memeber that I interacted with was professional, kind and amazing to work with. Very happy with are service. Thank you for being so helpful. Although your price is slightly higher than others, it’s made up by the attentive service I’ve received. I have 2 homes treated by your company and James along with additional staff have always helped me out! Come when I call meets all of our needs. Thank you, Gerardo, for your review! We are happy to be the company you trust for your pest control needs! CIS is always there for you. Thank you for the 5 star review! our business means so much to us and we are pleased to "be there" for you! Very professional, communicates well, on time and thorough job! Thank you for your review, Brandon! We were very happy to rid your rental home of its pests. It was a pleasure to work with you. Thank you for your kind review Mr. Kelly. We appreciate your trust in CSI Exterminators to provide pest control services at your home and rentals. Thank you for your business! Thank you for your review, Joni! Great Customer Service is our goal and we are so glad to hear we are on the right track! Thank you for your review Shellee! Our entire staff takes a lot of pride in what we each do, so it means a lot to get feedback from our customers like you. Very good customer service. Only slight issue I have is sometimes they miss some spider webs. Other than that, they are great! Thank you for taking time to submit your review Susan! We appreciate your positive feedback about our Customer Service, and also appreciate your comment about the spider webs. You have just helped us learn and grow better. A note has been added to your account to pay special attention to the webs at your house. Please call our office to let us know if we miss anything again. Here at Larkspur Village we are extremely happy with everyone at CSI every tech and Staff member are amazing. Jim and Tammy do everything they said that they would do and beyond I recommend anyone looking for an amazing exterminator please use them thank you Bill Larkspur Village Ridgecrest, CA. Bill, thank you so much for your amazing review! We are so pleased to have been able to service your property for over 9 years, and look forward to working with you for many more to come. Thank you for the special shout out to Tammy and Jim - you're right, they are awesome! Lana, thank you for your 5 star review! Thank you for your kind words Lance! We do strive to provide great pest control service, and to address concerns quickly. We are so happy for the confirmation that we're on the right track. And you are 100% correct; we care about our customers! Thank you for taking the time to send your review, Daira! We appreciate your trust in CSI Exterminators! Doing a great job, thanks guys. Thank you for the 5 star review! We appreciate your trusting in the care of your home and rental! CSI has been great. They are genuinely concerned about their customers and will promptly and effectively address any and all pest issues. I highly recommend CSI. Thank you for your kind words, Amirah! We do genuinely care about our customers' needs and are so pleased that it shows! Thank you for your 5 star review, James and Donna! We appreciate the feedback! Very happy with the service CSI provides. Timely, courteous, and professional service. Highly recommend them. Thank you for taking the time to submit a review, Tedera! We appreciate your business!! This company always tries to accommodate everything that needs to be done. The staff is always super nice!! They always notify you of the schedule which is nice for people like me who are always crazy busy. Their prices are reasonable too!! I highly recommend them! Thank you for your kind words and awesome review! We are so pleased to have been able to arrange our calendar to meet the needs of your crazy schedule. We appreciate your business and always enjoy the chance to chat when you call! Excellent service including customer service! Thank you for your kind feedback and for taking the time to submit your review! For over 12 years now, they have always been professional and provided great service. Thank you for your 5 star review, and especially for your loyalty! You've been with us since the beginning and we know you could have switched companies at any time since we don't use contracts. It's customers like you who make our jobs so satisfying! Thank you for your review, Aaron! You've been with CSI for many years and we truly appreciate your business!